Giveaway: Win a Year's Worth of popchips + how to turn your passion into a career! One September night about two years ago, I went over to my friend Rachel's apartment for dinner. 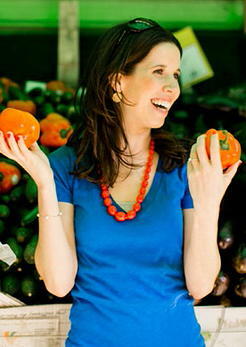 We were both editors at Hearst, though at different magazines, and had been connected by a mutual friend who knew we both also shared an obsession with all things food and cooking. I remember dinner that night being especially lovely. It was one of those hot late-summer evenings, so we had the windows in her Harlem apartment wide open, and ate a meal that Rachel prepared of hominy that she'd ordered from Rancho Gordo, served with an assortment of toppings like spicy chipotle salsa, crispy bacon, roasted radishes, fresh crumbled white cheese. This is Rachel. She is awesome. As we sat on the couch eating, Rachel excitedly told me that she'd gotten an idea for a book about the people behind food businesses, signed with an agent, and had just sold her book proposal. "I'm writing a book!" she said, barely able to contain her glee. We celebrated her news with wine and chocolate bars, and I told her to let me know as soon as it was out so that I could share it with you. Cooking up a Business is a book that tells the stories of the people behind 20+ of coolest food companies around. 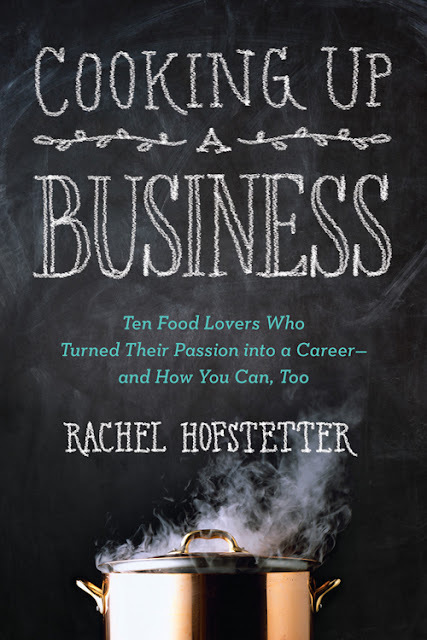 You'll read about the struggles, passion, and triumphs that led to the founding of brands like popchips, Vosges, LoveGrown, Evol, smashburger, the Brooklyn Flea, Hint, and tons more. Each chapter is followed-up with a section that features valuable takeaways from that particular brand's story, that you can then use to create your own business (both food or otherwise!). Rachel covers super important lessons about branding, marketing, financing, and much more in a way that's super fun and accessible. The book is also sprinkled with additional tips and advice from other experts like awesome food blogger Adam Roberts from The Amateur Gourmet, celebrity caterer Peter Callahan, and my personal go-to PR gal, Thea Zagata. The book will officially be released on December 3, but you can pre-order it now and it will be delivered to you as soon as it's out. 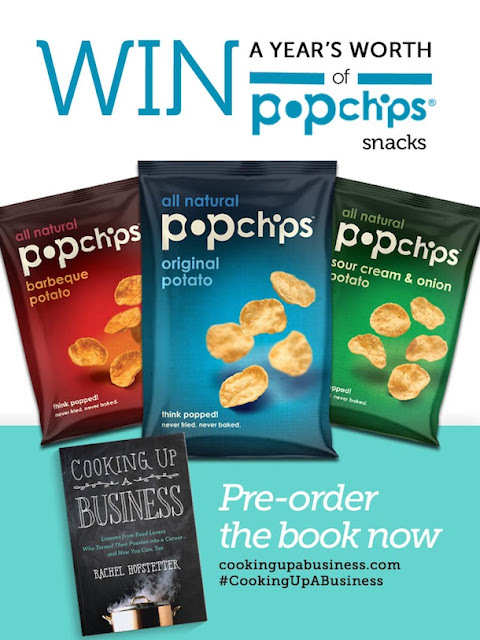 To celebrate the upcoming release of Cooking Up a Business, we're also hosting an exclusive giveaway courtesy of popchips--one of the awesome companies profiled in the book. Enter below using the Rafflecopter widget, and you can be the lucky reader who wins a one-year supply of popchips snacks! We'll be picking and announcing a winner next week.